Priyanka lives with her parents and grandmother. Her family struggles with wages but live in a tidy two-parent home, which is rare among her peers. 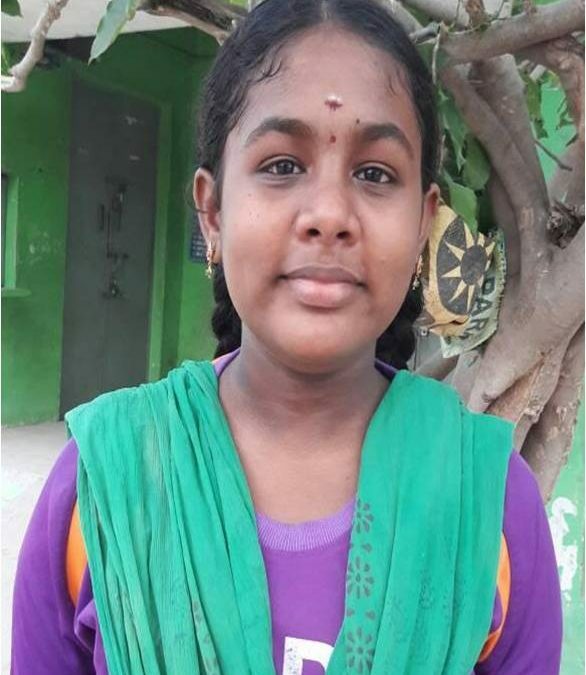 Her father runs a small hotel in their Arcotkuppam, where she attends a HoPE Learning Center. She has one younger brother and enjoys playing indoor games like carom and chess. Priyanka is a neat and tidy young person. She expresses concerns about diseases and other consequences of poor hygiene and sanitation within her village. Hence, she aspires to work at the Indian Administrative Office when she grows up. She already has a vision for her community that begins with building new facilities to improve village hygiene and sanitation. She became enthusiastic when she heard that the government offers free training and special classes for young IAS aspirants. Her HoPE Learning Center teachers offer guidance to make her visions come true. For every success story like Priyanka’s, there are countless other children that still do not have access to the services HoPE Learning Centers bring to these villages. Consider sponsoring a HoPE Learning Center today.